Bruce Willis returns as David Dunn in Glass. Pic credit: Universal Pictures/YouTube. 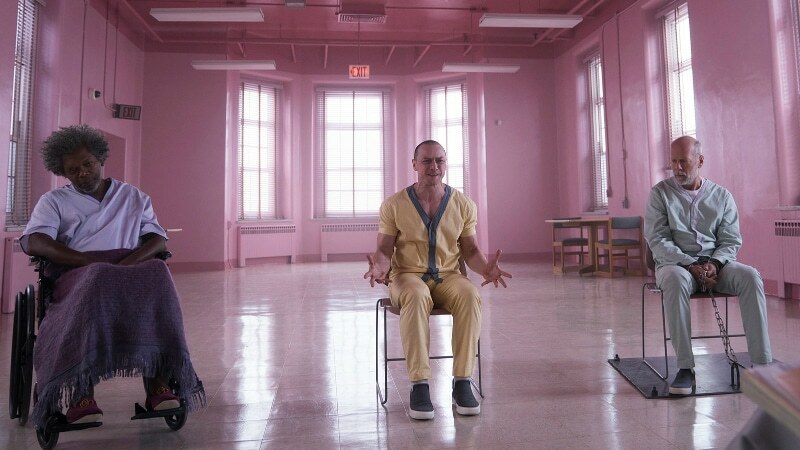 The newly released M. Night Shyamalan movie Glass is a sequel to Shyamalan’s previous films Unbreakable, which was released in 2000 and Split in 2016. This had led to an increased interest in both films with many looking to catching up with the prequels on Netflix before heading to the movie theaters. Whether you can watch Unbreakable or Split on Netflix depends on where you live. Split, which stars James McAvoy is available to stream on Netflix for the UK and Australia subscribers but the movie is not licensed in the US. Despite being released about 19 years ago, Unbreakable is only available in the Latin American and Asian Netflix markets. The movies are not available on other streaming platforms such as Amazon Prime and Hulu. How you can stream or watch Unbreakable and Split online? If you are in the United States, you will have to rent or buy the M. Night Shyamalan movies on Amazon, iTunes, Google Play or YouTube, which will allow you to stream it online. You can also rent Split on Netflix DVD or purchase Unbreakable on Blu-ray. It is unclear why Unbreakable isn’t available on any streaming platforms — The Sixth Sense, which also stars Bruce Willis, is available on Netflix in the US. Both Unbreakable and Split were commercially successful and earned over $200 million in the box office. Glass opens in movie theaters on Friday, January 18.